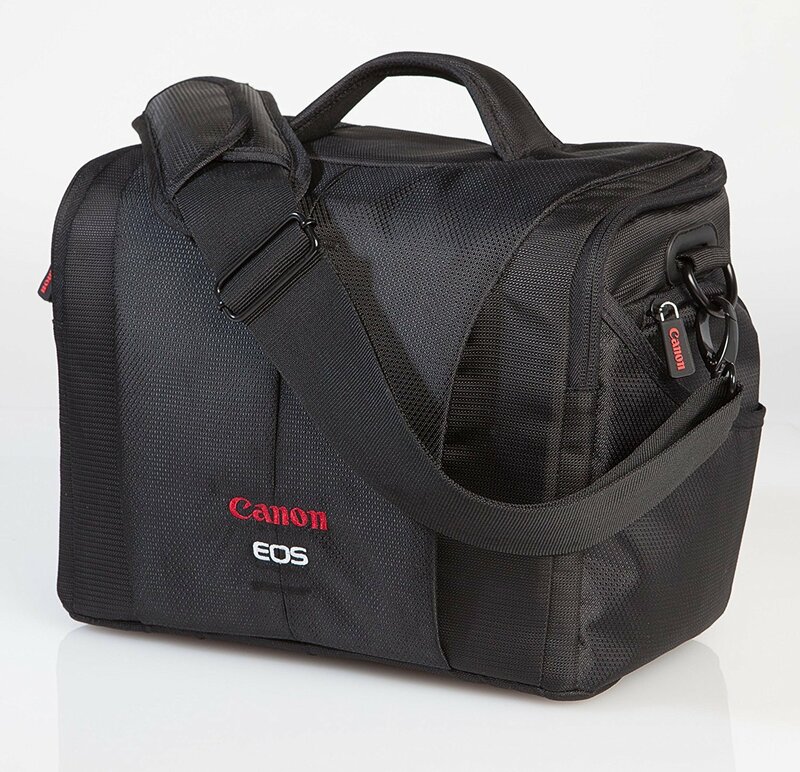 Protect your camera in style with the 700 SR DSLR camera bag from Canon. This attractive black bag features a padded main compartment, and holds 1 camera body, 3-4 lenses and the accessories you need to keep shooting. Built from rugged nylon, this case is water-resistant and coated with urethane for extra durability in any environment. The carry handle and adjustable, padded shoulder strap make it easy to take your camera anywhere, and the memory card pockets on the inside of the lid ensure that your extra memory is always within reach.